Why does my car do that? Hitting a kerb or pothole in the road might seem innocuous at the time but if left untreated it can lead to problems with your vehicle. If the car pulls to the side when you loosen your grip on the steering wheel or you hear strange sounds while driving there is every chance you have a wheel alignment issue. Problems with alignment may sound less serious than what you may have been imagining, if you have experienced any of these issues, but wheels that are not aligned correctly can end up costing drivers hundreds of pounds or even affect the safety of the vehicle you’re driving. There are other signs of misalignment that drivers often spot – vibrations in the steering wheel or significant signs of wear and tear on the inside or outside edges of the tyre. 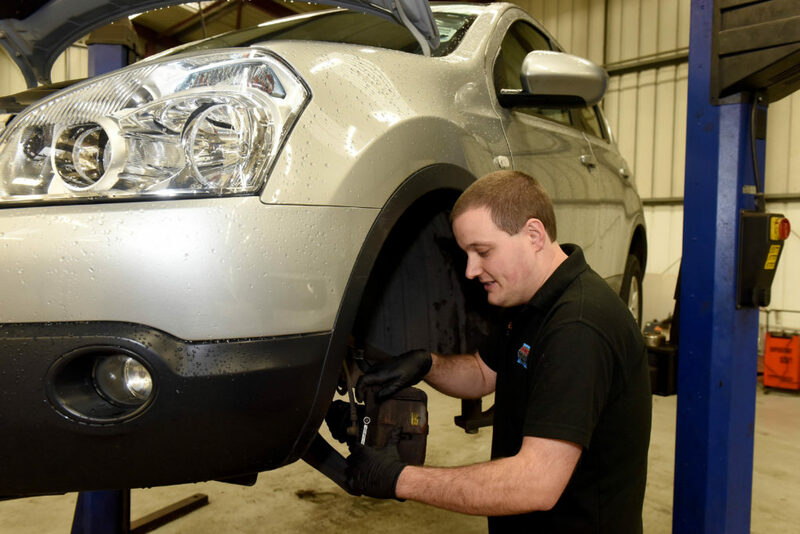 If you are experiencing any issues with your vehicle that worry you, or you suspect that there is a wheel alignment problem, then it is worth visiting a garage to let the technicians have a look at it. At David Dexters our state of the art 3D wheel alignment technology will spot any alignment problems and our team of trained technicians will be able to fix it right away, meaning you’ll be back on the road in no time at all.